Dr. John DeGuide thrives on building relationships, whether that means caring for patients with chronic GI issues at Rockford Gastroenterology Associates or advocating for health care at the county and state levels. DeGuide hails from California, where he earned his undergraduate degree from the University of California San Diego. From there, he received his medical degree at Loyola University Stritch School of Medicine in Chicago in 1989. He joined the Air Force and completed a residency in Internal Medicine and a fellowship in Gastroenterology at Wilford Hall Medical Center at Lackland Air Force Base in Texas. Before moving to Rockford in 1999, DeGuide worked as Chief of Gastroenterology at Wright-Patterson Medical Center, an Air Force health care facility near Dayton, Ohio. He and his wife, Dr. Susan DeGuide, were drawn back to Illinois to be closer to family. The DeGuides' careers followed similar trajectories: They met at Loyola, did their residency/fellowship work in the military (Susan was in the Army) and then worked for Rockford Health System after moving to the Forest City. John was co-director of the GI department until he joined Rockford Gastroenterology Associates in 2003. Susan, who is board-certified in Internal Medicine, left to start InnovaMed, which is now part of SwedishAmerican Health System. The procedurally oriented nature of Gastroenterology and the ability to help patients are what attracted DeGuide to the GI specialty. Dr. DeGuide said the second patient he ever saw when he arrived in Rockford is still a patient of his at RGA today. He has special interest in caring for patients with liver disease and inflammatory bowel disease (IBD). He pointed to recent advancements in treating liver disease as part of what drives his passion. Especially exciting have been new treatments for Hepatitis C, which is caused by a virus that can lead to inflammation and infection in the liver. Few patients ever show symptoms and only about 1 in 5 people develop complications because of the disease. The U.S. Centers for Disease Control and Prevention recommends that adults born from 1945 through 1965 be tested for this. DeGuide said when he was in the Air Force, treatment success rates for Hepatitis C patients hovered at about 30 to 40 percent, and medications used for their care had serious side effects. New drugs hit the market about five years ago with success rates of 95 percent or more and few side effects. RGA physicians split their time between seeing patients and doing procedures at the 401 Roxbury Road clinic and endoscopy center in Rockford. DeGuide also enjoys working with medical students who learn in both the hospital setting and at RGA. 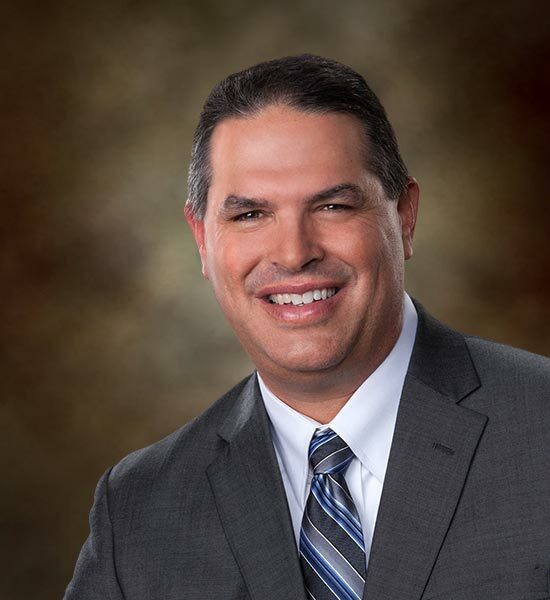 He prioritizes staying involved with the larger medical community, serving as a board member for the Winnebago County Medical Society since 2001 (and president from 2006-2007) and as the 10th District Trustee for the Illinois State Medical Society since 2010. 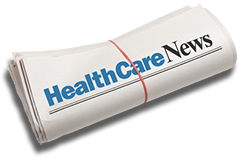 ”I think it’s important that doctors be involved with decision-making efforts, to help ensure that the best interests of patients continue to be the priority," DeGuide said. RGA’s founding father, Dr. Roger Greenlaw, emphasized a healthy work-life balance for physicians, which is one of the many reasons DeGuide likes being part of the team. Outside of work, the DeGuides enjoy playing golf, traveling and supporting the local art scene through such venues as Starlight Theatre and the Coronado Performing Arts Center. They live in Loves Park and have three children.